The Arizona Technology Council is teaming up with AZTC Platinum Sponsor MediaTHP in 2016 to film all of the Arizona Technology Council’s major annual events. These videos will be professionally edited to create an overview of each event which includes speakers, panel presentations, exhibitions and more. Each video will be posted on the Council’s YouTube channel, promoted via social media and included in a post-event email recap for attendees. The Council is looking for an annual sponsor for all of these videos, which will also include presence at each of these events in 2016. This sponsor will have the opportunity to be part of each video filmed with a company logo included and a 30 second commercial/company overview at the beginning and end of each video (five total event videos). *Four tickets and exhibit space are not valid for CEO Retreat. CEO retreat includes one attendee registration valued at approximately $550. The total cost for the annual sponsorship is $5,000 for all six events. Act now: there is only ONE of this unique sponsorship available. If your company is interested in becoming the 2016 AZTC Video Sponsor please email Merry Lake Merrell at marketing@aztechcouncil.org today. We are a team of international filmmakers who believe in providing the best service and production value possible to deliver dynamic media that promotes our clients’ products and services while reinforcing their business goals. Whether your media project is simple or complex, long term or short, MediaTHP provides the resources your organization requires to ensure the success of your message across a myriad of deployment channels. Our passion is telling stories through moving pictures. We love the creative process and filmmaking is the language we apply to develop your message into an exceptional showcase. 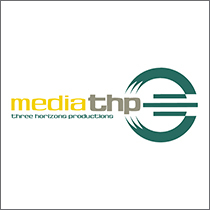 MediaTHP is a client-focused production company committed to helping your organization increase its business and exposure by blending traditional production techniques with today’s digital innovations. The long-term associations we have built with our clients result from our commitment to their success, but more importantly, to a working relationship built on trust and respect. Our collaborative, timely and professional approach will exceed your expectations. If you have a product to launch, an image to build, a vision to share, or a story to tell, partner with MediaTHP to create media that highlights your unique qualities.